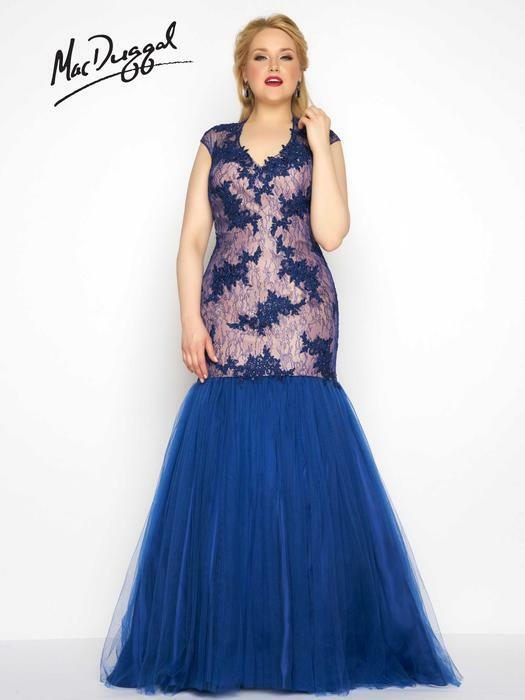 Plus Size Prom Dresses - Our plus size prom dress collections flatter the curvy girl and are designed with a young feel and bold colors. 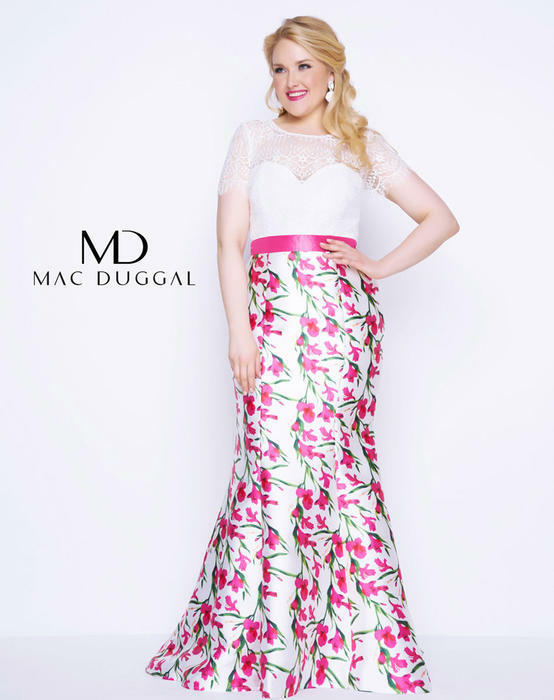 When choosing a Mac Duggal plus size prom dress or plus size homecoming dress a girl no longer has to buy a style a designed for petite girls in a larger size, which doesn't necessarily suit them. 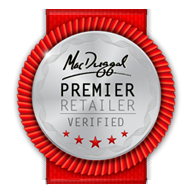 Our plus size prom dresses are made to flatter girls with full figures, and give them style and cut tailored to their size. The designs available now are so varied, that everyone can find something to suit their taste and preferences. 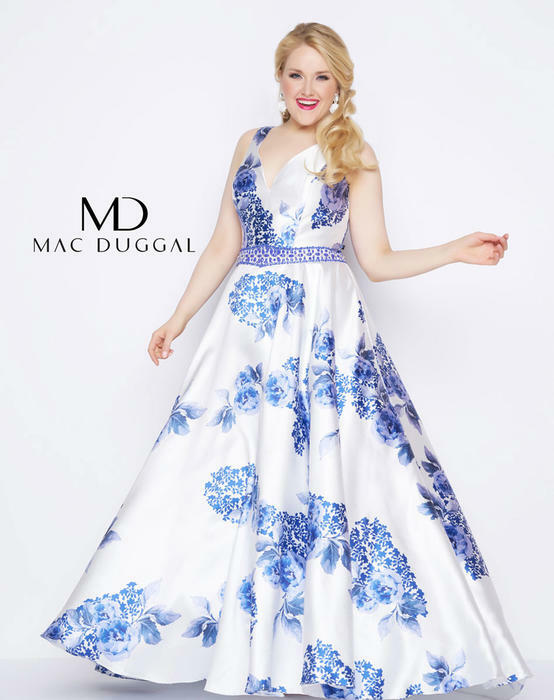 Our plus size prom dresses are offered in classic silhouettes with a certain understated sophistication that never go out of fashion as well as the most modern styles. 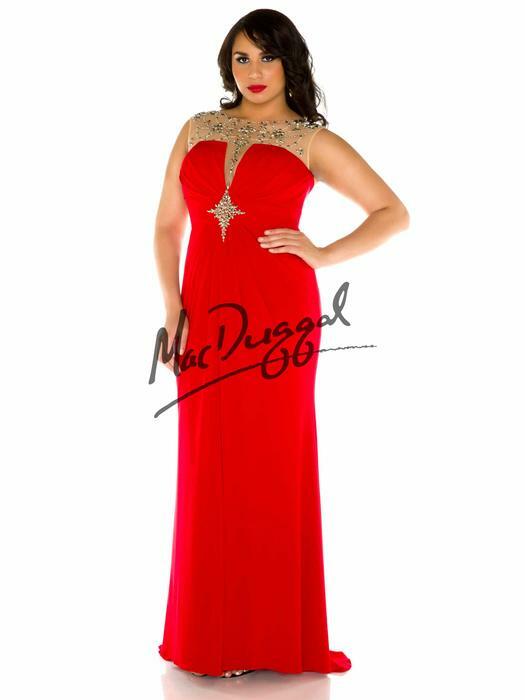 When looking for plus size evening dresses, ball gowns are great for camouflaging unwanted bulges around the stomach, hips and thighs. A plus size dresses with a v-neckline is an ideal choice for larger-busted women. 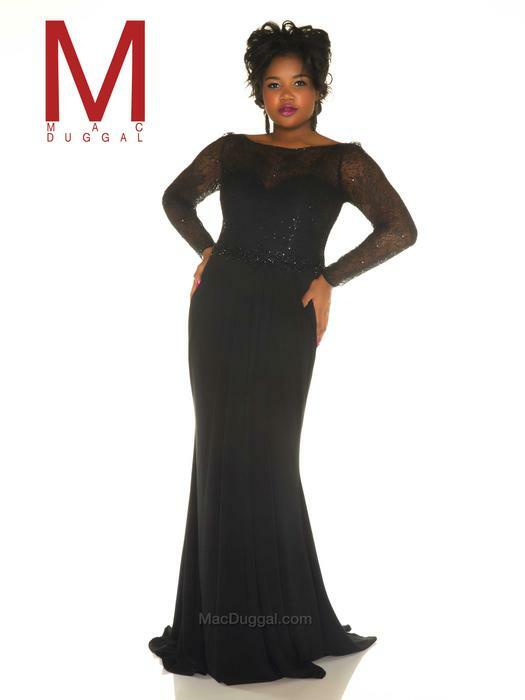 Vintage A-line and empire waists in plus size gowns provide a "slimming look". A plus size cocktail dress with a plunging neckline can focus attention to areas that you want to be noticed. A corset gown with a lace-up back is perfect for a full figure girl who wants to show off her curves without custom ordering a complete gown. When searching for your plus size formal dress bear in mind that there is no standard American size chart for women's clothing. 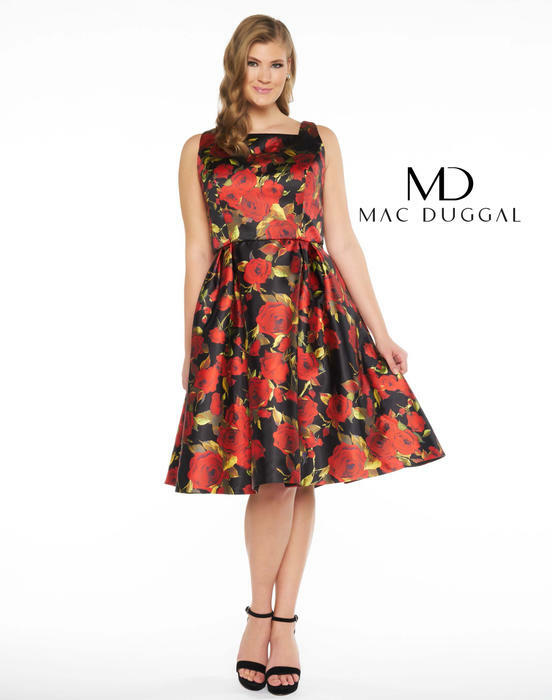 Evening wear usually runs one or two sizes smaller than causal or corporate clothing. When in the market for the perfect dress, never give up the search until you find what exactly appeals to you. If you take the time to find something you love and that fits you well and makes you look marvelous, you'll feel like a brand new woman when you grace that special event with your stunning presence. 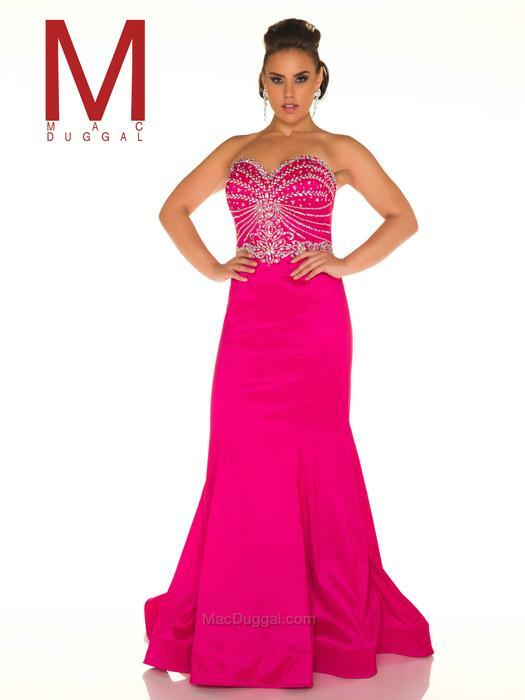 Gowns and dresses shown below may not be in stock in our salon. Although these gowns and dresses may be purchased online, the images shown below are for reference only and do not necessarily reflect what is available in our salon.